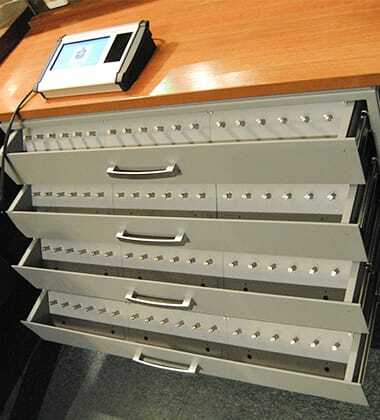 It is an expanded version of the SAIK SOFT Electronic System of Porter Support , using drawers to store the keys to be given out by the porter or receptionist. Keys are stored in SAIK POCKET modules placed in pulled-out drawers, accessible only by the receptionists. 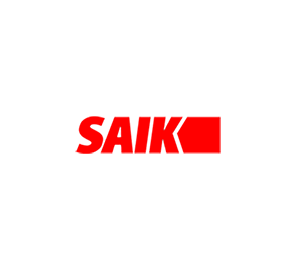 Keys are deposited and identified on the basis of the ring series numbers, as in independent SAIK devices. Each socket has a detector detecting the presence of the ring and the detector of the ring number readout. State institutions and companies aiming to protect their keys with a key handing -over procedure based on their operative handing over the keys.